The Volunteer of the Year category received an unprecedented number of nominations at the Enterprise in Society Awards. Selnet CEO Liz Tapner presented the award to Sarah Harrison who is a volunteer for Lancashire’s Women’s Centres. Lancashire Women’s Centres work with all women but typically support those experiencing multiple and often complex needs including mental ill health, low confidence, offending behaviour and poverty. Their ‘One Stop Shop model’ provides a female-only safe space for women, reducing the need to access multiple agencies, which can be traumatic or even impossible to navigate. 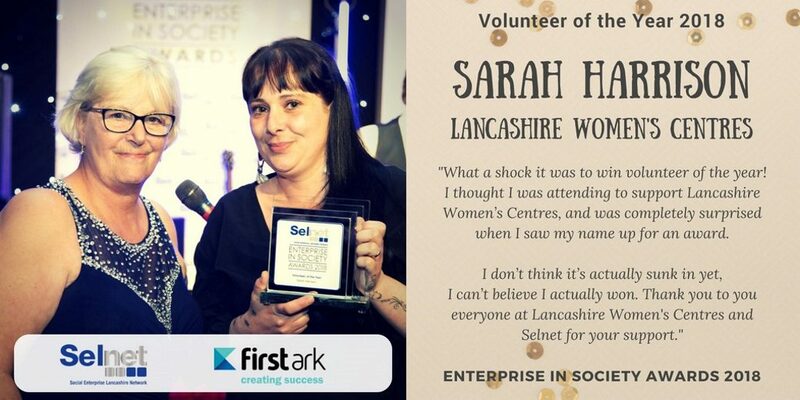 Sarah is based at the social enterprise’s Blackpool Centre and was nominated for using her skills, life experiences and spare time to support others. Sarah’s relationship with Lancashire Womens Centres began when she accessed a learning programme in 2015. Sarah did not speak for the first 5 weeks as she had no confidence, but worked hard to overcome a number of challenges, including becoming a mum at a young age, caring for her four children, one of whom has additional needs, and experiences of domestic abuse and mental-ill health. Sarah now volunteers on the MindFit programme – a group therapeutic course, providing support to other learners. She is a trained mentor supporting women on a 1-1 basis on issues such as housing, domestic abuse, or accessing training. She also leads an arts and crafts peer support group which meets weekly and works to improve emotional wellbeing and reduces social exclusion. The Centre Manager said “Women accessing our organisation’s services place great value in the ability to be able to build a relationship with those supporting them, and in feeling that staff and volunteers understand and can relate to their experience without judgement. Sarah is a strong role model for other women, and they hugely value her support. Lancashire Women’s Centres were also crowned Social Enterprise of the Year at the event. 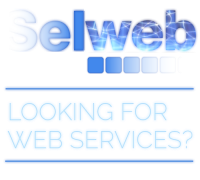 Their Centres are located across Lancashire, working in communities of greatest need including Accrington, Blackburn, Burnley, Blackpool and Preston.